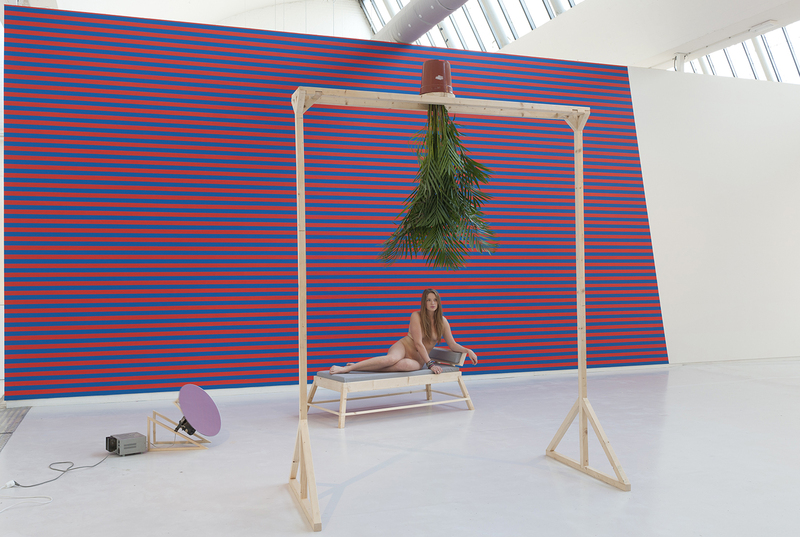 's-Hertogenbosch, 2012 - How to make visitors relate to a real person in an exhibition space? A collaboration with Stedelijk Museum 's-Hertogenbosch, museum visitors and two female models. 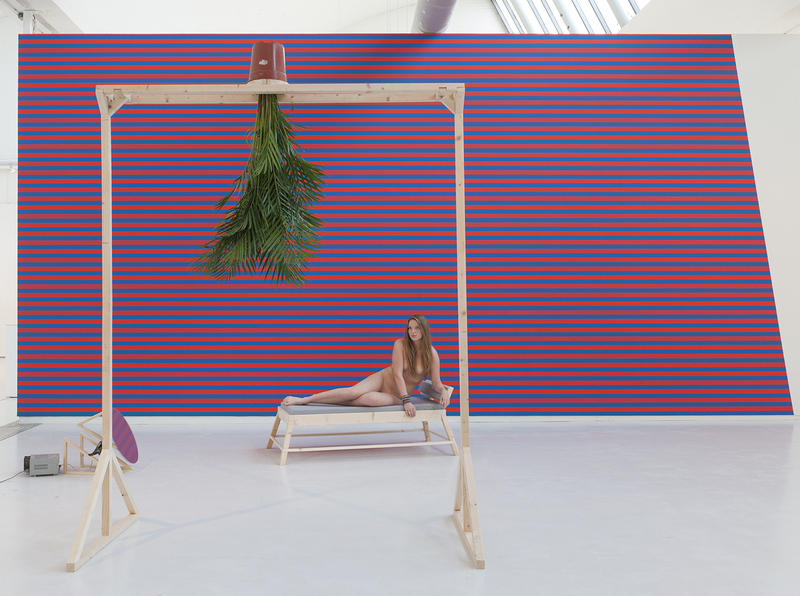 'Maybe it's not meant for you, but if you're careful, you're free to have a look' consists of a green Areca Palm hanging upside down in a wooden construction, a rotating mirror and a wooden sofa in front of a mural of red and blue lines. Periodically a woman comes in, removes her bathrobe and lies on the sofa.